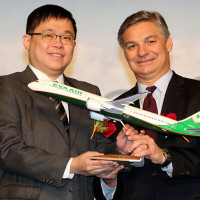 Boeing and EVA Airways Nov. 24 finalized a historic order for up to 24 787-10 Dreamliners and two 777-300ER (Extended Range) jetliners. 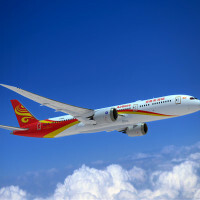 The order, valued at more than $8 billion at current list prices, marks the largest single commercial airplane purchase in Taiwan aviation. Raytheon is offering an integrated, next-generation training solution for the U.S. Air Force's Advanced Pilot Training competition. 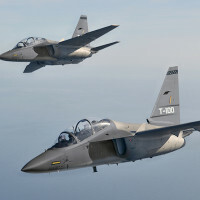 Raytheon, one of the world's preeminent training and avionics companies, is the prime contractor, with principal partners Finmeccanica, CAE USA and Honeywell Aerospace. 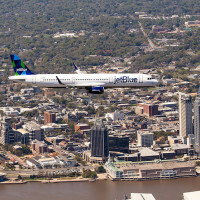 The first Airbus aircraft produced in the U.S. Manufacturing Facility has flown for the first time.